I consider this very important that I’m reblogging this. 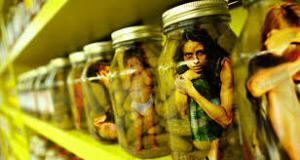 HUMAN TRAFFICKING.. the second most organized crime in the entire world after trade of drugs and arms. Imagine someone deciding your value and selling you off to someone whose totally unknown to you, to a unknown place, somewhere where you’re forced into something you never dreamt of in your wildest nightmares, imagine landing up there one day ! Seems disastrous, isn’t it? every year 11th of January is recognized to be a day for spreading awareness on human trafficking and hence I deemed it fit to bring up this topic. ~ by edwinlives4ever on January 17, 2015.